Be THE ONE and Build Your Squad for Global Dominance. NBA LIVE 19 is officially on the way and will be dropping on September 7, 2018, NBA LIVE 19 offers a number of gameplay innovations starting with Real Player Motion, a revamped experience on The League and The Streets, an all-new feature called Build Your Squad, and the return of THE ONE. Mister Rahul took the time to walk us through each feature and even sat down with Ryan Santos, NBA Live's own Creative director, you can check out the detailed articles below. Build Your Squad (all new feature). 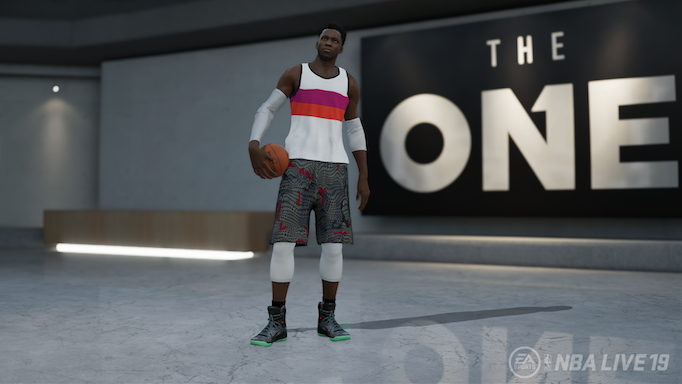 In this article, we’re going to explore NBA LIVE’s marquee game mode THE ONE and the progression between NBA LIVE 18 and NBA LIVE 19. The game has grown in so many ways and in THE ONE, you get the chance to blossom your player into a legend. When you think about the career of an NBA player, there are so many different parts to it. Each player has their own unique story and THE ONE gives you a chance to make your own decisions as you progress through the life of a budding NBA star. This article takes a deep dive into THE ONE as you’ll experience it in NBA LIVE 19. While the NBA LIVE franchise has had different career modes in the past, this was a whole different way to create an interactive experience for game players. Last year’s version took players through the Pro-Am circuit as they looked to embark on an all-inclusive professional experience which doesn’t only incorporate your on-the-court skills but your off-the-court respect, too. 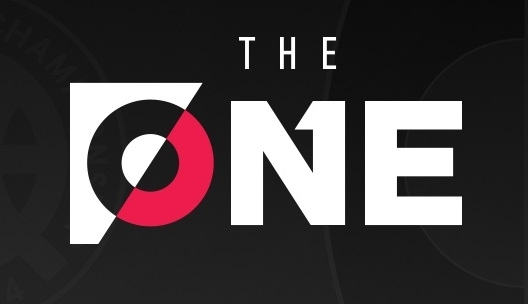 One of the key factors that makes THE ONE special is the ability to customize your entire playing experience, whether it be through Playstyles or the threads you rock in the game. As it relates to Playstyles, the NBA has entered a stage where players are coming in with such diverse skill sets that they’re able to essentially combine big man skills with guard abilities, or vice-versa. NBA LIVE 19 looks to tackle this by creating a more extensive set of player progression abilities. With this feature, you’ll have the ability to choose the same Playstyle as another player but modify the unique Icon Abilities of the player’s tendencies and ratings to ensure they put their own unique spin on each and every game. While players may start off similarly, this development ensures that no two players develop the same. What Else You Got For Us? That wasn’t all that Santos looked to add in THE ONE, though. While he didn’t want to reveal too much, he made sure to let us know that you’ll have a new story and a new presentation of your player’s journey to glory and incredible additions to both The League and The Streets. Oh, and don’t sleep on winning different in-game prizes as you progress through the game! Last year, NBA LIVE 18 presented a lot of opportunities for fans to take their game to The Streets while still dominating The League. The League took a modern and unique take on a basketball career by offering seamless and unified progression. In a mission to turn into THE ONE, players would travel the Pro-Am circuit, hitting some of the most famous street courts in hoops culture history. This article goes through the amazing changes to the journey you’ll take in The League and The Street in NBA LIVE 19. As any basketball fan will recognize, basketball is so much more than sold-out arenas, sponsors, and jerseys. I remember falling in love with the sport as a kid and running to my local park to show off the newest move I learned, then bragging to my friends. That love of basketball grows at the most basic level of hoops – and when people play in The Streets, they instantly return to those grassroots, the perfect place to show their passion. In NBA LIVE 19, Creative Director, Ryan Santos looked to re-create that passion where people fall in love with the sport all over again. “Last year, we had a legit Pro-Am tour where you’d go through the top Pro-Am leagues like The Goodman, Dyckman League, and Drew League, where you’d compete through just like real pros and amateurs do during the summer,” said Santos. “This year, we’re excited about really expanding on that and making it global. We’re taking that Pro-Am tour and turning it into The Streets World Tour, featuring courts around the globe in places like Paris, Rio De Janeiro, and more over the course of the year." 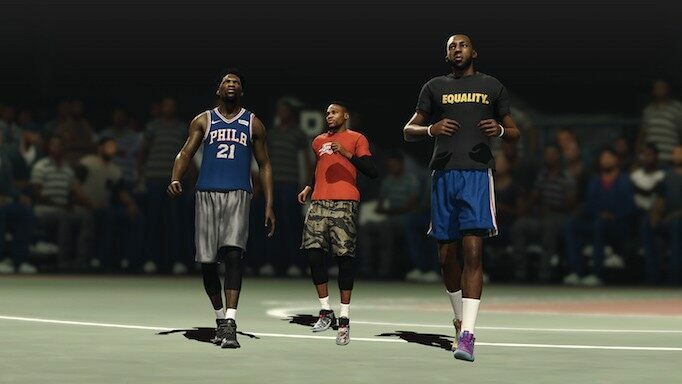 Since NBA LIVE is all about making your own decisions, make your way back to The League whenever you want. When you do, you’ll get every chance to grow your own player and take your team deep into the playoffs. The interesting part about The League, though, is that the decisions you make can influence the trajectory of your professional career and even your own personal life. This stems from everything, like choosing where you want to play, getting messages from other NBA stars, and even building your own profile in the news to ensure that everyone knows your name. 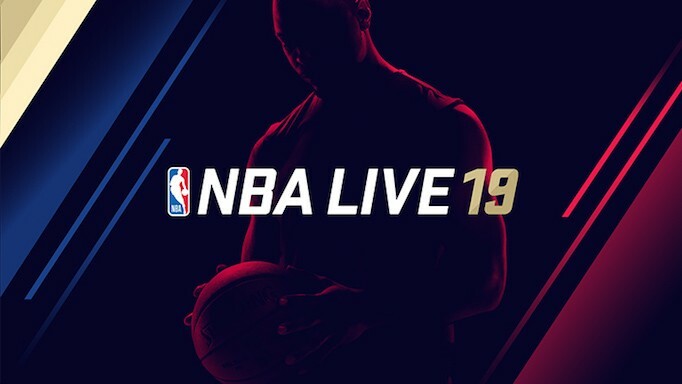 The NBA is the only league where players might be role players on their own teams but all-stars on social media – with this year’s NBA LIVE, you’ll have the chance to become a star both on and off the court. Capturing this global cultural and social influence aspect of the NBA is a major hurdle that the team looked to make happen for fans in ’19. In this article, we’re focusing on the brand-new concept of being able to Build Your Squad. This gives you the ability to completely create your own squad, recruit NBA players and legends, and take on your friends and other competitors along the way to fight for global dominance. I caught up with Game Developer Ryan Santos to talk about the inspiration behind some of the developments in the game’s newest mode. A lot of what the team has tried to mimic is the style that many role-playing games have set forth in terms of creating an online party-style mode. This is a mode where, not only can you play against friends, but you can actively try to one-up and compete for bragging rights. 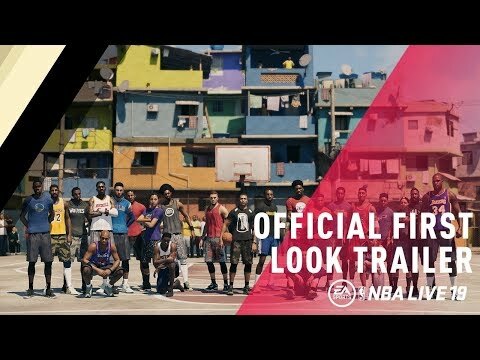 While the majority of global courts are yet to be released, this seems to give a nostalgic feel similar to the classic EA Sports’ NBA Street franchise. 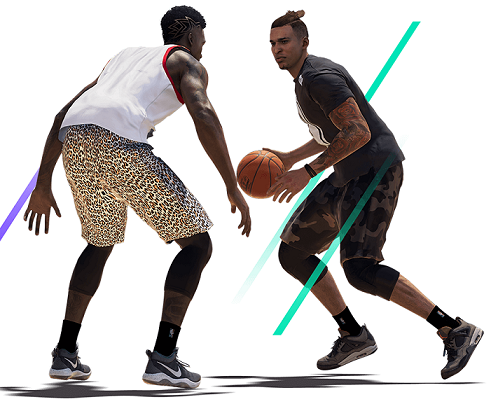 The amazing part – aside from being able to do streetball moves like the Shammgod dribble – is that you can do all this while competing for rank and prizes. A number of NBA LIVE 19’s Live Events will be centered around this concept of building your squad, and you’ll get to do so in the most interactive way possible, where you really may only have one or two chances to pick up a certain player and add him to your team. While Build Your Squad is the newest feature to hit NBA LIVE 19, it seems like it’ll become an instant hit with a number of LIVE players. 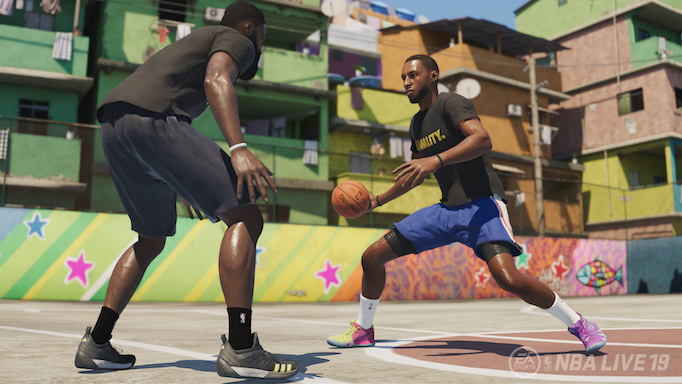 The staple that is pick-up basketball is something that runs so deep in the culture of hoops, at any level, that it’s so important to have that reflected in a video game. 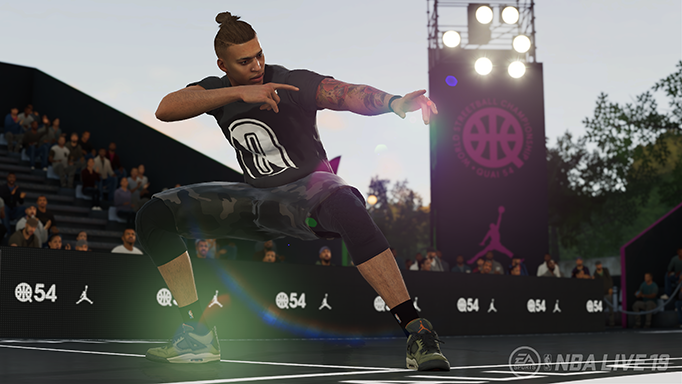 Whether you squad up with your friends, or you look to take them on with a group of your hand-picked starting five, NBA LIVE 19 gives you the freedom to create your own legacy. 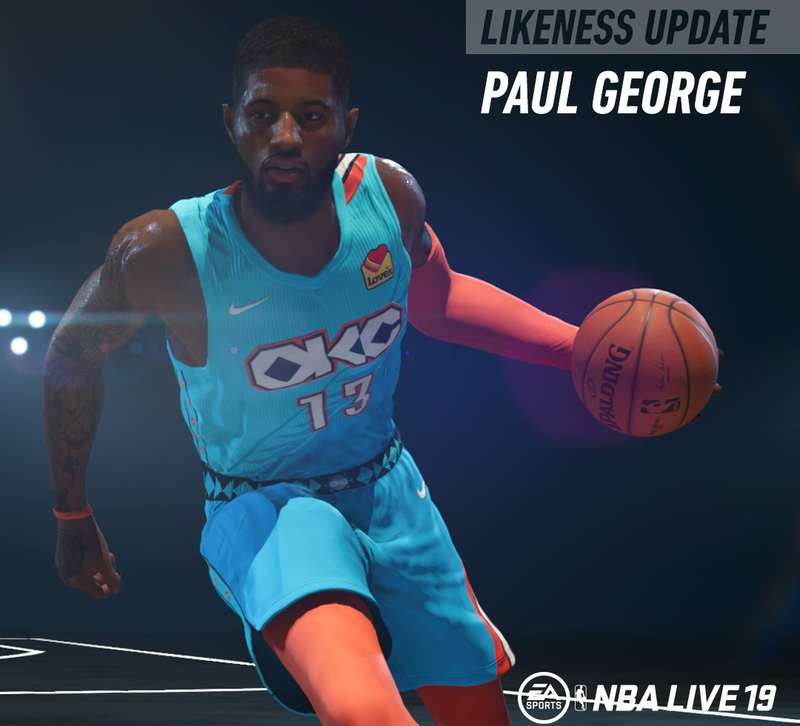 In this article, we’re diving into the Icon System that NBA LIVE 19 will be instituting in the upcoming game! Last year, we all stressed out over which Playstyle to create our player in the mold of, to make sure we could become The One. This year, NBA LIVE 19 is creating an even more authentic, all-encompassing system to progress and enhance your players to make them both realistic and dominant. The Icon System was created with the intention of providing gamers with wider strategy options and providing more meaningful depth in the game’s most marquee, and customizable, mode. 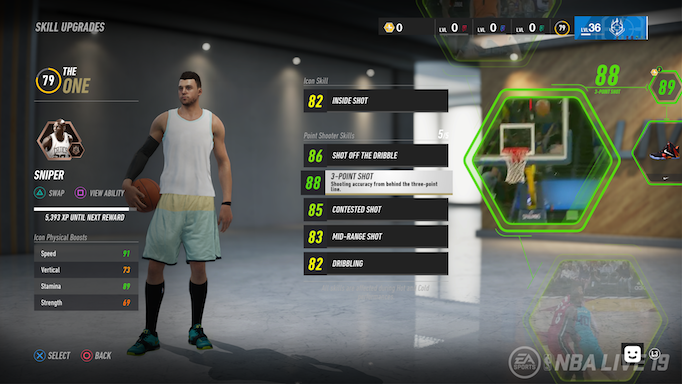 In NBA LIVE 19, you can change your game up to model some of the greatest who have ever touched the hardwood by incorporating the skills, abilities, and personalities of current and retired stars. If you want to lead your teammates like Magic Johnson, you can. Say you want to make the other team suffer after a turnover, get out on the break like Russell Westbrook. You can. Want to be a dominant paint presence? You can – just add in some elements of former Defensive Player of the Year Dikembe Mutombo’s game to your own and become a menace down low. With the new Icon System, all of this possible. In addition, each Icon contains the below, which add extra individuality. Icon Ability: Exclusive gameplay boost that can only be experienced by equipping the Icon. Example: Magic Johnson gives teammates a shooting boost when he passes to them. Icon Skill: A particular Skill that is only available within a Playstyle by equipping the Icon. Example: Russell Westbrook is the only Slasher with a Dunk skill path. Icon Boosts: Rating boosts, which are specific to an Icon. Example: Example: Dirk Nowitzki gets Post Move boosts, but other Stretch Fours do not. Icon Unlocks: Animation, gear, and boosts that are only unlocked by playing with an Icon. Icon Path: A Levelling path that includes all upgrades and unlockable items. Icon Ability Upgrades: Found on the Icon Path, these are three decisions to signify how you want to upgrade your Icon Ability. So, let’s put this into context and take an example from the game! If we take a look at the Slasher Playstyle, you’ll notice two different Icon Abilities highlighted by the skillsets of popular players. For Slasher, you can choose between The Beast (Russell Westbrook), The Answer (Allen Iverson), and The Spark (who is . . . hey now, we’re not giving you all the spoilers). You can begin by choosing your Icon Ability, then take a look at the Skill and the Boosts. For Russell Westbrook, you’ll get the Dunk Icon Skill, several boosts that affect both sides of the ball, and even physical boosts touching on speed and stamina. If you choose to play with Westbrook, you get the special ability that enhances your speed and finishing at the rim after a change of possession. Now, let’s run through the same progression for Allen Iverson! By playing with The Answer, you’ll get the chance to see increases in your ability to beat defenders off the dribble, make tough-to-hit step backs, and also have a higher finishing rating. Where Westbrook had a Dunk Icon Skill, AI’s skill stems around his steal ability. That leads to unique, personal skill boosts in other categories on both sides of the ball for his skill boosts. When we dive further into Iverson’s skill progression Icon, the next step is looking at the Icon Paths. Essentially, you can now unlock unique content by playing with a specific Icon. Each Icon has their own path divided by bronze, silver, and gold tiers. Within each tier, you’ll get five rewards created by the XP earned, which contain different prizes such as attribute boosts, accessories, moves, and the final reward will always be an upgrade to the Icon Ability itself. Let’s analyze another NBA legend like Dikembe – in the following screenshot, you’re looking at the Silver Tier decision point where you get to choose between two options that affect the opponents shooting percentages when activated. In Option A, you’ll be able to increase the radius for how close the player needs to be for this ability to take effect. In Option B, you’ll be able to impact how much of a penalty the opponent will get to their shot percentage. Because of this level of customization, you’ll be able to truly make a unique superstar that encompasses the best traits of several talented legends. What Other Icons Are there? Look, we’re not ruining all the surprises! You’ll have to wait for the full list. But a few of the Playstyles that will be available consist of Slasher, Wing Shooter, and Rim Protector. As you’ve already seen, there are three Slasher styles offered, then there will be three Wing Shooters, and two Rim Protectors. As we get closer to launch, we’ll reveal more Icons and Playstyles, as well as the player archetypes that you can play with! No matter if you want to play as a Guard, Wing, or a Big, you’ll have the chance to level and advance your players in the most unique ways possible. As you progress in the game, you can decide just how you want to have your player control the flow of the game. In this article, we’re going to focus on the gameplay innovations in NBA LIVE 19. Gameplay is where some of the biggest improvements have happened, giving the NBA LIVE franchise the most realistic version of the game that we’ve seen. 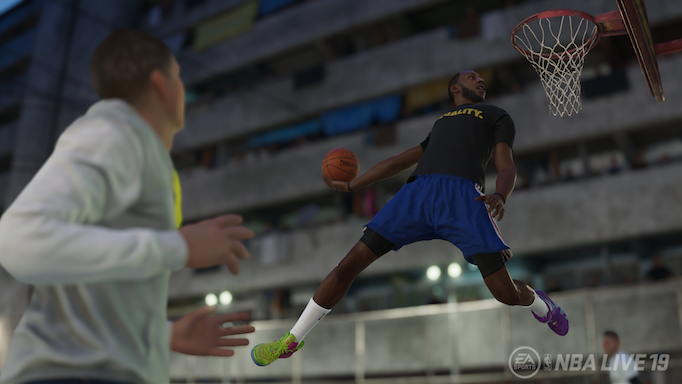 To get the info on the gameplay changes, I interviewed NBA LIVE Creative Director Connor Dougan about some of the enhancements he’s spent months ideating, including Real Player Motion, One-On-One, Interactive Environment, and Dynamic Gameplay. RL: In regard to Real Player Motion, what do you hope to achieve by putting it into NBA LIVE 19? How can gamers see a difference between LIVE 18 and LIVE 19? Connor Dougan (CD): Real Player Motion is going to give our players a much smoother and more responsive experience. Where it really shines is ball carrier movement in terms of being able to change direction, attack the basket, and how smooth and fluid everything looks – it's taken a big jump in quality. The other advantage of Real Player Motion is that we have a lot of signature player movement. Guys like LeBron, Harden, Kyrie, and Curry will move like they do in real life. Faster acceleration, different nuances of how they dribble and how they move, and this is all controlled with the left stick. Our off-ball player movement has also been upgraded to Real Player Motion. Our player movement is much more responsive and smoother when controlling players in the halfcourt or in transition. RL: Does Real Player Motion change the controls at all? CD: We have a right-stick dribbling system, which allows players to pull of a variety of combo moves to attack the basket. Right-stick dribbling has been taken to the next level (we’ll get to that later) but, with the advantages of real player motion, you can do a lot of different moves on just the left stick alone, which is cool. You don't need to be a master on the right stick, but there's a lot more players can do and it's a lot smoother and easier to pick up and play and it's a lot more responsive and authentic with signature player movement. We've also overhauled our triple-threat control. All-new jabs steps, as well our pump fake system, all of that has been converted to Real Player Motion technology. In addition, we have brand-new player skeletons, player model improvements, and thousands of new animations. We've improved a lot of our animation pipelines to get rid of any sort of legacy “stiffness” that you may have seen in the past from NBA LIVE. RL: I’ve heard a lot about improved one-on-one play, walk me through the changes. CD: Last year, we introduced a game within a game, which allowed players to actually play on-ball defense and we also introduced, offensively, a series of counter moves and right-stick dribbling. 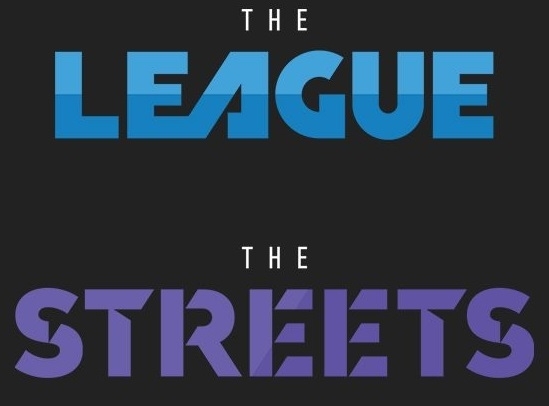 This year, we’ve added a new series of all-new counter and combo moves for both in The League and The Streets. If you're playing in The Streets, you can go around the defender's backs, pull off Shammgods between players legs, between your own legs, double-crosses and all-new combos, and players will see all that as we gear towards launch. The ball handler will have a lot more freedom and control than last year. At the same time, we still want these moves to be skill-based and give the defender the opportunity to stop them. RL: Players could get away with sleeping on defense if they were off-the-ball, what changes were made to affect that in the one-on-one play? CD: Last year, in The One mode, if you weren’t guarding the ball handler, there wasn't a lot for you to do. So, we've expanded our one-on-one system to off-ball. Defensively, you can hold your left trigger to body players up away from the ball. Offensively, there's a series of counter moves like V-cuts, L-cuts, and different right stick moves to get you open. There's a whole new game within the game with off-ball play. It's all skill-based timing windows so, if the offensive player pulls off a right stick move, you have a certain amount of time to react to that move. If you try to V-cut and the defense doesn’t react in time, you’re going to get an open look. There's a whole new game within the game that we're introducing. Really, our goal is to have skill-based one-on-one battles everywhere on the court. CD: Our interactive environment feature breaks the wall between the players on the court and everything off of it. You’ll see players save the ball into the bench and the crowd. You’ll see players fall into the cameramen or crash into the stanchion. You’ll also see players jawing with the opposing team’s bench or crowd members in Pro-Am. 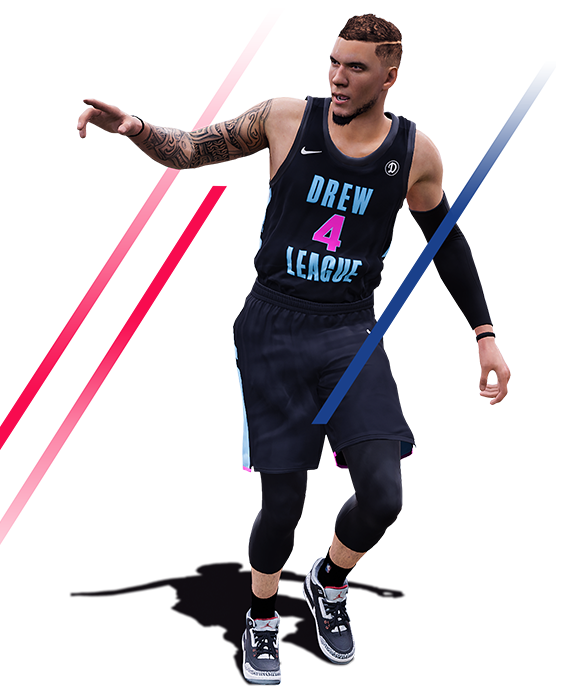 We're also introducing court-storming in our Pro-Am and Street games so, in big games, if you hit a big shot, don’t be surprised if the crowd looks to celebrate with you! It's not just collisions in the crowd but you'll see players talking trash to the crowd or the bench. We're trying to bring in the secondary characters and tie it all together and make it a living environment. RL: Is there anything that makes specific players come to life more than they have in past versions? CD: Absolutely – we’ve built an all-new Dynamic Gameplay A.I. system with the goal of making every game feel different. We wanted to introduce new AI behaviors that are true to life. So, when you play against star players who start to get hot and begin taking over a game, whether on offense or defense, you're going to start to feel that. They'll get the ball fed to them more and they’ll be much more aggressive and depending on their personality types, they'll start talking trash. We've also introduced the concept of post whistle interactive emotes where you can taunt the opposition or celebrate with your teammates. Players will start to do that to you depending on what personality type they have. You might see a guy like Draymond Green talking a lot more and even hard-fouling in certain cases. There is a lot of stuff with dynamic gameplay A.I. that really bring our players to life. This is done not only through how they play and how they attack you but also how they react emotionally. If you go against someone like Draymond and you set him off, you're going to start to see him really come at you. He'll foul you, he'll get really physical whether it's on the ball, attacking the rim, or even off-ball just like we’ve seen in this year’s playoffs. There's also new behaviors for guys who are a little flashier, whether that's Harden at The Drew League, or a guy like Jamal Crawford who's more of a one-on-one type player. There’s a lot for our players to look forward to from an AI perspective, and there is more to come on this new system as we head towards launch.